The Red Spice Road cookbook is a sumptuous collection of recipes from the kitchen of the popular Melbourne restaurant. Combining centuries-old recipes with modern ingredients and know-how, Chef John McLeay shares his love of all things Asian. Mouth-watering recipes include: crab-filled betel leaves, prawn and sticky pork salad, prawn jungle curry, and crispy five-spice quail. There are also common favorites such as penang curry, chilli basil chicken, mapo tofu and pork belly as well as easy, delicious desserts. 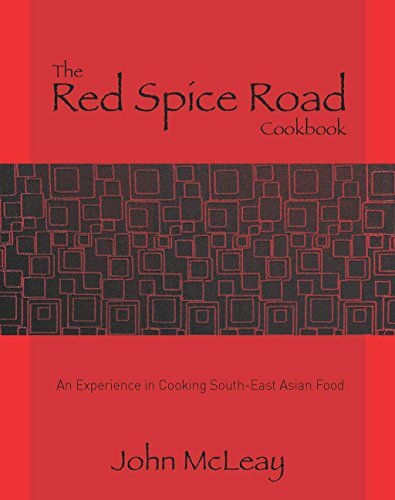 Red Spice Road includes a 'basics' section which instructs the home cook how to make fundamental stocks, pastes and garnishes, and the book finishes with an Asian-influenced cocktail section - the perfect accompaniment to a delicious banquet.